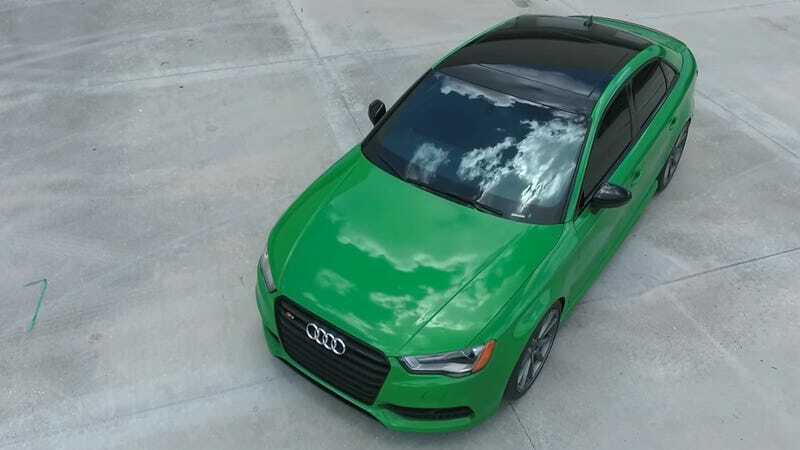 “Plasti Dip” and its other-brand equivalents are sprayable removable rubberizing coatings that have become a popular way to customize cars. It sort of holds like a vinyl wrap paint, but mixes a little like paint. This gives you a lot of room for experimentation, which worked out pretty well here. I won’t deny that my obsession with Plasti Dip, Flex coatings similar products is a little weird. Something about the rubbery texture covering a car just seems really cool. And who doesn’t love a fresh color? Anyway “Plasti Dip” is one brand, but similar products are also made by other paint brands and more “professional” versions, designed to be sprayed from a compressor-powered gun instead of a can, also exist. To make this pearlescent alligator Audi, which Fonzie just calls “a beautiful accident,” he started with a “primer” layer, a white layer, a yellow layer, and another layer of yellow before deciding he wanted to try something different. If you’ve ever messed with paint before, you might know you achieve certain looks by mixing colors and others by laying down separate layers. 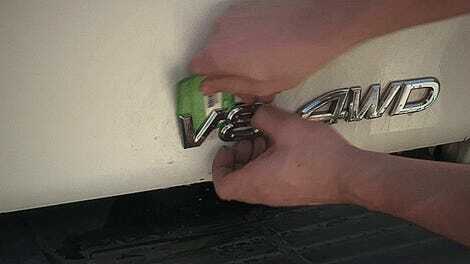 This video is an interesting example of how Plasti Dip is different, but kind of the same. 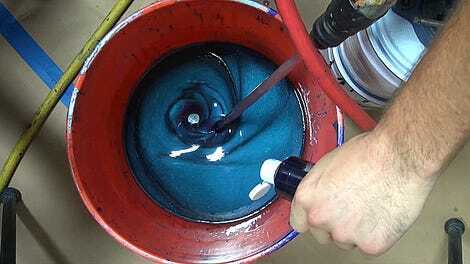 And frankly I just think it’s cool to see what happens when you throw different coatings on a car. This lightly pearlescent green is one of my new favorite car colors. Too bad I would never have the patience to put down that many layers of this stuff on anything. For your reference, it took me most of a day to be satisfied with a 10 square inch plastic piece I “dipped” on my dirt bike for my own experimental purposes.